This week we will be talking about all things first aid or self aid; whichever, you prefer in a woodland environment. I have been a first responder since I was sixteen and have served in a variety of capacities including wilderness First Responder and EMT along with a few levels of Ambulance based certifications. Over the last, well almost 20 years now, I have been presented with a wide variety of challenges, situations, training scenarios and just plain weird situations that have helped me deal with most injuries using a very simple kit which will all easily fit in a haversack with room to spare for your 10 Piece kit. 3) Common Medicinal Plants/Trees that I like to use and generally keep in my kit (there are 10 right now I believe) and how to use them generally. I believe this will take up the bulk of the hour, but if for some strange reason I have extra time I will start work next weeks show which will be a very compact wilderness first aid class. It is my hope to speak with many of you during the show about what you carry in you IFAK (Individual First Aid Kit) and why you chose those items. 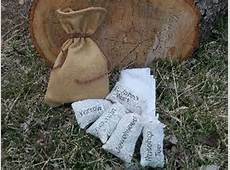 I will then show how you can potentially lighten your load utilizing the technology in your kit, nature and a few tips/tricks for increased success! Visit 7P’s Survival Blog HERE! Listen to this broadcast or download “Self Aid” in player below! 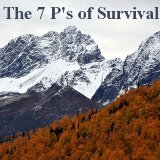 Archived shows of 7P’s of Survival at bottom of THIS PAGE! Previous: Previous post: Why Sound Financial Planning? Next: Next post: Surviving a blizzard!